Can you feel Purim just around the corner? Who isn’t eagerly anticipating this annual Yom Tov extravaganza, featuring joyous dancing, Mishloach Manos, colorful costumes, and of course, the Megillah reading? This timeless scroll describes in detail the incredible turnabout when the Jewish nation was saved from the scheming machinations of the wicked and contemptible, if not downright genocidal and megalomaniacal, Haman, by the self-sacrifice, quick thinking, and virtue of the noble and courageous Queen Esther and the brave and righteous Mordechai. Anyone who takes a quick gander around the shul at Krias HaMegillah will notice that there are many types and sizes of Megillos: “HaMelech” Megillos, 11 line “Gr”a” Megillos, 21 line Megillos, 28 line Megillos, 42 line Megillos, 48 line Megillos, and even perhaps Illuminated Megillos. However, there is one readily noticeable difference between most Ashkenazic and Sefardic Megillos (aside for the actual ksav, of course): an Amud, the pole, stave, or Eitz Chaim, that is ubiquitously affixed at the end of Sefardic Megillos, but noticeably absent from most Ashkenazic Megillos. The question is why the distinctive divergence? Although there seems to be a common misconception that this debate is based on different ways to understand the word “Amud”, with the Shulchan Aruch, and hence Sefardim, understanding the requirement to be referring to an actual pole, while the Rema, and consequently Ashkenazim, deeming it to mean a column (as in a blank column of space) at the end of the Megillah, nonetheless, from a careful reading of the Rema’s psak we clearly see that this assessment is not accurate. The Rema does not write that Ashkenazim should ensure having an extra column at the end of the Megillah to be considered as an Amud, but rather “Nahagu shelo laasos lah amud klal b’sofah”, that our minhag is specifically not to have any Amud at all at the end of the Megillah. This proves that although he agrees with the Shulchan Aruch’s lexicon that an “Amud” is referring to an actual pole, nevertheless, he actively argues that we should not affix one at the end of our Megillos. But before we understand the reason why, some background is in order. The Gemara (Bava Basra 13b - 14a) discusses halachos of attaching Sifrei Kodesh together and how to properly roll them, and concludes with, and brings proof to, the shittah of Rav Ashi. Rav Ashi rules that “Kol hasefarim niglalim m’tchilasan l’sofan, v’Sefer Torah niglal l’emtziyuso, v’oseh lo amud eilech v’eilech”, all Sifrei Kodesh are rolled from their beginning to their end, except for a Sefer Torah, as that is rolled towards its middle. As such (in order to accomplish this), we fashion for the Sefer Torah two poles, one on each end of its parchment. This is the halacha pesuka, that we affix two Atzei Chaim for a Sefer Torah. Yet, we also glean from the Gemara’s statement that all other Sifrei Kodesh should have one Eitz Chaim, in order to enable it to be rolled m’tchilasan l’sofan, from their beginning to their end. However, Chazal did not teach us where the proper placement of such an Amud should be in order to accomplish this. Indeed, this is a machlokes Rishonim: whether this Amud should be placed at the beginning or the end of the Sefarim. Rashi determines from the preceding Gemara about attaching Sifrei Torah together that m’tchilasan l’sofan is referring to leaving extra blank columns at the end of the parchment, to enable the scroll to be wrapped around the Amud affixed at the beginning. Several other Rishonim, including the Tur, learn this way as well. Tosafos, however, questions this understanding, and asserts thatm’tchilasan l’sofan does not mean that, but rather refers to wrapping the scroll around an Amud attached to the end of the scroll. He cites Maseches Sofrim (whose girsa is ‘l‘tchilasan’), as well as the Yerushalmi, which explicitly states this, as proof to this position as the proper girsa and interpretation. The vast majority of Rishonim understand this to be the Gemara’s requirement. Rav Yosef Karo, in his Beis Yosef questions how the Tur could have followed a minority opinion regarding this debate, and concludes that the ikar psak follows the majority of Rishonim, and that the Megillah’s Amud needs to be affixed at the end of the scroll. This is also how he rules unequivocally lemaaseh in his Shulchan Aruch. On the other hand, the Rema argues that the prevalent Ashkenazic minhag is davka not to have an Amud at all. The question is, why? If so many great Rishonim maintain that there must be an Amud, why would the Ashkenazic minhag be specifically not to? The Rema actually quotes this psak from the Maharil. The Maharil maintains that as the Gemara (Megillah 7a) is uncertain whether the Megillah was written with Nevuah, it does not have a full status of a ‘sefer’. The proof of this is that although we know that one may not actually touch the parchment of a Sefer Torah directly (Gemara Megillah 32a), on the other hand there is no such compunction on touching a Megillas Esther. Although the Gemara and Rishonim effectively conclude that there must be an Amud on Sifrei Kodesh, according to this understanding, this does not actually apply to the Megillah, as it does not share the status of a true ‘sefer’. Accordingly, the Megillah would be the exception to the rule. A similar assessment is given by the Damesek Eliezer. He opines that as Megillas Esther is also referred to as an ‘Igeres’ (Esther Ch. 9: 29), a letter, and has certain halachos that pertain to this aspect of it, it should not be beholden to the halachos exclusive of Sifrei Kodesh, especially as it is quite uncommon that a ‘letter’ would have actual staves to roll it. The Aruch Hashulchan adds an additional reason why the Megillah is not specifically listed as part of the rest of the Sifrei Kodesh this Amud requirement pertains to. He explains that, as opposed to other Sifrei Kodesh, the Megillah is only read from on Purim. He further posits that the reason why the Rishonim necessitated an Amud for the Megillah is that before the printing press was invented, the only Megillos available to learn from were kosher Megillos. Hence, the need for an Amud to ensure it gets properly rolled and not ruined. However, by his day (1890s), with printed Megillos extant, this was no longer an issue, and as such, an Amud is deemed unnecessary. The Bach and his son-in-law, the Taz, take an alternate approach, and contend that although the Rishonim maintain that an Amud should be affixed to Sifrei Kodesh, nonetheless, as they debate whether it needs to be placed at the beginning or the end of the scroll, it is preferable to do neither – following the Talmudic dictum of ‘shev v’al taaseh adif’ (Eruvin 100a). Come what may, due to whichever rationale, the common Ashkenazic minhag is that Megillos do not have an Amud. On the other hand, Sefardic poskim over the ages were and are very makpid that their Megillos have an Amud, and although most held that it would still be kosherb’dieved lacking an Amud, nonetheless, several Sefardic authorities even maintain that it is passul without it. On a more contemporary note, Rav Ben Tzion Abba Shaul ruled that if the only Megillah available does not have an Amud, a bracha should not be recited on it. There is even a story told about Rav Ovadiah Yosef, that when he was once given an Ashkenazic Megillah to lein from, he refused, for lack of an Amud. “He then noticed a broom leaning in the corner of the shul. Wrapping the Megillah around the handle to create an appropriate Amud, he then began to read from it!” Although this story is most likely apocryphal, it certainly drives the message home, showing the lengths Sefardim should go to ensure that their Megillos have an Eitz Chaim. Yet, it must be noted that not all Ashkenazic authorities agreed with the Rema’s assessment. Indeed, several authorities, most notably the Vilna Gaon, argued on the reasoning of the Bach and Taz to explain the Rema’s (absent) pole position, even referring to this rationale as ‘tzarich iyun gadol’. This is because if there is halachic uncertainty as to which end of the scroll to affix an Amud, they maintain that it would stand to reason that we should rather affix an Eitz Chaim on both ends of the Megillah m’safeik, and not on neither end, as not affixing an Amud at all essentially fulfills neither opinion. Based on the strength of his argument, it is reported that the Vilna Gaon was personally makpid that his Megillah have an Amud at the end, following the majority opinion of the Rishonim. Several other Ashkenazic authorities, including the Yosef Ometz, Damesek Eliezer, and Mishnah Berurah, maintained preference for this shittah as well. It is also known that the Chasam Sofer’s Megillah had an Amud. Practically, the prevalent Ashkenazic minhag has remained the way it was – not to use an Eitz Chaim. Several recent notable authorities whose Megillos did not have an Amud include the Chazon Ish, Steipler Gaon, and Rav Yisrael Yaakov Fischer. On the other hand, it is known that Rav Shlomo Zalman Auerbach’s personal Megillah did have an Amud, and Rav Yosef Shalom Elyashiv is quoted as maintaining that having one would be considered a ‘hiddur’. Several Chassidic halacha sefarim also maintain that having an Amud is considered a hiddur, especially as the Kaf Hachaim wrote that this was the Arizal’s minhag as well, based on Kabbalah. So, in solving this ‘Megillah Mystery’, at last we know the rest of the story: why Sefardim would be loath to use a Megillah sans Amud while Ashkenazim generally favor it that way, as well as why some, especially Gr”a-niks and Chassidim, might still prefer a Megillah with an Eitz Chaim. So it turns out that this whole discussion is essentially axiomatic of Klal Yisrael: celebrating diversity in their fulfillment of Ratzon Hashem. A Freilichen Purim to all! This article was written L’Iluy Nishmas Yisrael Eliezer ben Zev a"h - my dear Great-Uncle Larry Spitz, who was niftar this past week, L’Zechus for Shira Yaffa bas Rochel Miriam v’chol yotzei chalatzeha for a yeshua teikif umiyad and l’Refuah Sheleimah for Shoshana Leah bas Dreiza Liba, Mordechai ben Sarah, and Shayna bas Fayga. This author highly recommends Rabbi Reuvain Mendlowitz’s excellent Inside STa”M, and his recent Hebrew edition, titled ‘STa”M’, as they contain a treasure-trove of STa”M related information for the scholar and layman alike. Although it is unlikely that the Vilna Gaon himself owned an 11-line Megillah, these Megillos are manufactured taking his shittah into account. Basically, there are shittos that hold regarding the Aseres Bnei Haman, that the preceding word ‘Ish’ needs to be at the start of the page, as the Aseres Bnei Haman should be written on their own page. [See Levush (Orach Chaim 691: 3), Elyah Rabba (ad loc. 8; citing the Shiyarei Knesses Hagedolah, Hagahos on Beis Yosef ad loc. 10), and Kesses Hasofer (Ch. 28: 5 and 6); based on the Yerushalmi (Megillah Ch. 3, Halacha 7), Maseches Sofrim (Ch. 13: 6),and Piskei Tosafos (Megillah 30).] In order to accomplish this, they are generally written with a larger font than the rest of the Megillah. However, while the Gr”a agrees that when writing the Aseres Bnei Haman, it should start with the word ‘Ish’, and end with ‘Aseres’, he argues that they should nonetheless be written the same size as the rest of the Megillah. He also interprets the Yerushalmi and the shittas HaRishonim differently, that the statement is referring to the preceding word ‘Ish’ and following word ‘Aseres’ needing to be written as part of the Aseres Bnei Haman (with similar style ksav; this would then take up 11 lines), but not that it needs its own page. [See Biur HaGr”a (Orach Chaim 691: 25) and Maaseh Rav (243).] Therefore, in order to have a Megillah that fulfills all of these disparate requirements, with the script being the same size as the rest of the Megillah and also giving the Aseres Bnei Haman their own page, an eleven line Megillah would be necessary. See Nishmas Adam (vol. 2, 155: 2), Shaarei Efraim (Shaar 6: 54 and 55), Damesek Eliezer (Orach Chaim 691, on the Biur HaGr”a 25), Shu”t Beis Efraim (Orach Chaim 70), Shu”t Chasam Sofer (Orach Chaim 189 and 190 s.v. a”k), Kesses Hasofer (28: 5 and 6), Aruch Hashulchan (Orach Chaim 691: 9 - 11), Mishnah Berurah (Shaar Hatziyun 691: 16), and Mishnas Hasofer (Ch. 28, Biur Hasofer s.v. minhag). 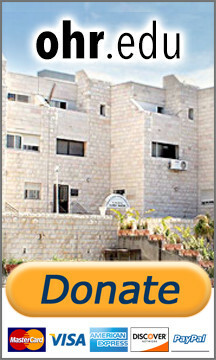 The Kaf Hachaim (Kol Yaakov ad loc. end 27) approvingly cites the Imrei Shefer (22: 2), who refers to those makpid to use an 11-line Megillah as ‘Anshei Maaseh’. Renowned Rabbanim who were known to have preponderance for an eleven line ‘Gr”a Megillah’ include the Chazon Ish, Steipler Gaon (both discussed in Orchos Rabbeinu, new edition, vol. 3, pg. 173: 10), Rav Shlomo Zalman Auerbach (Halichos Shlomo, Moadim vol. 1, Ch. 19, Orchos Halacha 5), and Rav Yisrael Yaakov Fischer (Halichos Even Yisrael, Moadim vol. 2, Ch. 55: 7). However, quite interestingly, albeit somewhat contrastingly, in the Miluim of the recent Weinreb edition of Maaseh Rav (pg. 389: 243), it cites Rav A.Z. Slotzky’s (a Moreh Tzedek in Vilna) haskama to sefer Mesores HaTorah V’HaNeviim, explaining that as the Megillah is referred to as a ‘sefer’, it shares certain halachos of a Sefer Torah (see next footnote), and as there is no Sefer Torah written with only eleven lines, it is perhaps preferable not to use an 11-line Megillah, but rather one with 48 lines, as the Gr”a himself did. These Megillos are made following the injunction that Megillos share basic halachos of Sifrei Torah, as in the Megillah itself (Esther Ch. 9: 32) it is referred to as a ‘sefer’. See Hagahos Maimoniyos (Hilchos Megillah Ch. 2: 50), and Tur, Shulchan Aruch, Levush, and main commentaries to Orach Chaim 691 (1 and 2). The exact understanding and nuances of this klal are actually debated between Rabbeinu Tam and the Rambam (as detailed at length by the Beis Yosef ad loc.). As Sifrei Torah traditionally have either 42 or 48 lines per column [as per Maseches Sofrim (Ch. 2, Halacha 6), Rambam (Hilchos Tefillin U’Mezuza V’Sefer Torah Ch. 7: 10), Hagahos Maimoniyos (ad loc. ; also citing the girsa of Rav Yehuda Barceloni), Tur (Yoreh Deah 275: 6), Perisha (ad loc. 14), and Rema (ad loc. 6); both 42 and 48 are different girsaos based on the Masei Bnei Yisrael in the Midbar], many Megillos do as well. However, other authorities hold that this ‘sefer’ klal of a Megilla sharing similar halachos of a Sefer Torah, does not include the number of lines [see, for example Kol Bo (45), and later, Kesses Hasofer (Ch. 28, Lishkas Hasofer 4)], or issues that would not passul a Sefer Torah. S ee Kol Yaakov (Orach Chaim 691: 7) for a roundup of opinions regarding Megillah, and Yoreh Deah (272 and 273) for a list of these issues that would not passul a Sefer Torah (as per Shulchan Aruch ad loc. 273: 5 and Taz ad loc. 272: 4). See Elyah Rabba (Orach Chaim 691: 7) and Shu”t Zera Emes (vol. 1: 100 and vol. 3: 78). As most Ashkenazim use Ksav Beis Yosef and Chassidim generally use Ksav Arizal, on the other hand, Sefardim generally use Ksav Velish. For more on this, and the differences between them, see Rabbi Reuvain Mendlowitz’s excellent Inside STa”M (Ch. 3, Styles of Writing) at length. See for example, Mishpacha Magazine (Feb. 24, 2010; pg. 34: ‘In a Dark Basement in Bulgaria’). Rema (Orach Chaim 691: 2), arguing on the Shulchan Aruch’s psak (ad loc.) of “V’tzricha amud b’sofah”. See Rambam (Hilchos Tefillin U’Mezuza V’Sefer Torah Ch. 9: 14), and Tur and Shulchan Aruch and main commentaries to Yoreh Deah (278: 2). Most poskim hold that having Atzei Chaim is l’Mitzva, but their absence will not passul a Sefer Torah b’dieved. See Dagul Mervava (ad loc. ; adding that especially as the Rambam does not list Amud inyanim as one of the issues that can passul a Sefer Torah (ad loc. Ch. 10: 1); [however, see Rav Yaakov Kamenetzky’s Emes L’Yaakov on Tur and Shulchan Aruch ad loc. ]), Shu”t Rabbi Akiva Eiger (Tinyana 5), Shu”t Chasam Sofer (Yoreh Deah 276), Pischei Teshuva (ad loc. 3), and Kol Yaakov (ad loc. 8). As an aside, although the Rambam refers to the Atzei Chaim as being produced from wood (a line which is interestingly conspicuously absent from the Tur and Shulchan Aruch), nonetheless, several contemporary poskim maintain that they may be (and possibly preferably) manufactured incorporating more expensive materials (i.e. silver, titanium etc.) in order to beautify the Mitzva. See Kovetz Teshuvos (vol. 1: 111), Shu”t Tzitz Eliezer (vol. 17: 77), and Shu”t B’tzeil Hachochma (vol. 6: 80). Rashi (Bava Basra 13b s.v. v’sofo and 14b s.v. l’tchilaso) and Tur (Orach Chaim 691: 1). The Rif (ad loc. 8b – 9a) seems to hold this way as well, as his girsa on rolling Sifrei Kodesh is ‘b’tchilasan’. According to the Bach’s understanding (ad loc. s.v. u’m”sh v’R”T) this is also Rabbeinu Tam’s shittah. Tosafos (ad loc. s.v. v’oseh), citing Maseches Sofrim (Ch. 2, Halacha 5) and Yerushalmi (Megillah Ch. 1, Halacha 9). Although Tosafos refers to this as the R”i’s shittah, nonetheless several later Rishonim refer to this as Rabbeinu Tam’s shittah (although as mentioned in the previous footnote, the Bach argues on this contention). Other Rishonim who learn this way include the Rosh (Bava Basra Ch. 1: 52; and in his Peirush HaMishnayos to Maseches Yadayim, Ch. 3, Mishnah 4), Rashba (Bava Basra 13b), Meiri (ad loc. 14a), Hagahos Maimoniyos (Hilchos Megillah, Ch. 2, Os Nun), Maharam M’Rottenberg (Shu”t, Dfus Prague 351), SMa”G (Asein 25), Sefer HaTerumah (202), Rash M’Shantz (Yadayim ad loc. ), and Nimukei Yosef (in the Rif’s pagination ad loc. ; who changes the girsa to ‘l’tchilasan’). Beis Yosef (Orach Chaim 691: 1), Shulchan Aruch (ad loc. 2). Maharil (Sefer Haminhagim, Hilchos Purim 16, old print pg. 59a or 60b; new print pg. 431). Although there is some debate about this, whether one may touch the klaf of Sifrei Kodesh barehanded (not including Sifrei Torah, of course; as per Gemara Shabbos 14a and Megillah 32a), [see Tosafos in Shabbos ad loc. (s.v. ha’ochez)], the Rema (Orach Chaim 147: 1) paskens lemaaseh that this is not an issue, and especially if one is makpid to wash his hands before touching the sefer. Although the Yaavetz (Mor U’Ketzia, Orach Chaim end 691 and Shu”t Sheilas Yaavetz vol. 2: 103) asserts that touching the klaf of Sifrei Kodesh is not permitted, based on his understanding of a Gemara in Sanhedrin (100a), and the Magen Avraham (147: 1) writes that this certainly applies to a Megillah [there are those who use the Magen Avraham’s wording here as proof that he must have held that an Amud is necessary for a Megillah], nonetheless, the majority of poskim (including the aforementioned Maharil), are not concerned with this issue, and maintain that maximum, it would be preferred to wash hands before touching them. See Mordechai (end Megillah 834; citing the Ravyah), Shu”t HaRadbaz (vol. 2: 771), Bach (Orach Chaim 147: 1), Taz (ad loc. 1), Elyah Rabba (ad loc. 1), Shu”t Noda B’Yehuda (Kama, Orach Chaim 7), Shu”t Shev Yaakov (vol. 1: 11), Shu”t Panim Meiros (vol. 1: 77), Machzik Bracha (Orach Chaim 147: 4), Hagahos Chasam Sofer (Orach Chaim 691: 1; also citing his rebbi, Rav Nosson Adler), Shaarei Teshuva (ad loc. 3), Aruch Hashulchan (Orach Chaim 147: 5 and 6), Biur Halacha (147: 1 s.v. v’tov; for a full breakdown of the Rishonim on topic), and Kaf Hachaim (ad loc. 5). Damesek Eliezer (Orach Chaim 691, on the Biur HaGr”a 20; cited in the Miluim of the Weinreb edition of Maaseh Rav, pg. 389 - 390). Interestingly, he nonetheless concludes that it is proper that the Megillah have an Amud at the end, but its lacuna would not be me’akev b’dieved, as the Rambam did not mention this as a passul, even regarding Sifrei Torah (as mentioned previously in footnote 8). Rav Naftali Hertz Halevi (Biurim on Maaseh Rav 136; also cited in the aforementioned Miluim ad loc.) makes a similar assessment. This aspect includes having the whole Megillah spread out and folded underneath it (like a letter) during a public Krias HaMegillah. See Tur and Shulchan Aruch and main commentaries (Orach Chaim 690: 17), based on Gemara Megillah (19b). Aruch Hashulchan (Orach Chaim 691: 7, in the parenthesis). This is somewhat akin to and reminiscent of the Sefer HaTeruma’s (202; cited by the Bach ad loc.) explanation why Sifreri Torah require two Amudim while other Sifrei Kodesh only one, as they are not used as regularly. Bach (Orach Chaim 691: 1 s.v. u’l’inyan halacha) and Taz (ad loc. 2). See for example, Levush, Bach, Taz, and Aruch Hashulchan (ibid. ), as well as the Kitzur Shulchan Aruch’s Kesses Hasofer (Ch. 28: 3). See Shu”t HaRashbash (579; also citing his father, the Tashbetz), Shiyurei Knesses Hagedolah (Orach Chaim 691, Hagahos on Beis Yosef, 5), Pri Chodosh (ad loc. s.v. u’m”sh), Shulchan Melachim (ad loc. 3), Hagahos Mahar”a Azulai on the Levush (ad loc. 1), Matteh Yehuda (ad loc. end 2), the Chida’s Birkei Yosef (ad loc. 9), Rav Chaim Palaji’s Ruach Chaim (ad loc. 3), and the Kaf Hachaim’s Kol Yaakov (ad loc. 20). However, the Shulchan Gavoah (ad loc. 13), takes this a step further, and asserts that a Megillah without an Amud is ‘passul l’kuli alma’. The Kaf Hachaim concludes that if a Megillah without an Amud was read, and later on one was found with an Amud, it should be read again, but without a bracha. Rav Ovadiah Yosef (Chazon Ovadiah on Purim, pg. 243) concludes that certainly a Megillah without an Amud is kosher b’dieved, and b’shaas hadchak a bracha can be made on it. However, lechatchilla, in such a situation, he avers that a Sefardi needs to be ‘hishtadel b’chol oz’ to obtain a Megillah with an Amud. Shu”t Ohr L’Tzion (vol. 4, Ch. 56: 4). As told in Mishpacha Magazine (Feb. 24, 2010; pg. 34: ‘In a Dark Basement in Bulgaria’). Although this story certainly drives the message home about the lengths Sefardim should go to ensure that their Megillos have an Eitz Chaim, nonetheless this story is problematic for a number of reasons. First of all, as mentioned previously, the Shulchan Aruch paskens (Orach Chaim 691: 2) that a Megillah shares the strictures of a Sefer Torah. In Hilchos Sefer Torah (Yoreh Deah 278: 2) he rules that that the Amud needs to be sewn to the parchment with sinews (gidim) from a kosher animal. The Rema (ad loc. ), based on the Terumas Hadeshen (vol. 1: 51) is the one who is more meikel, allowing the Amudim to be sewn on with silk thread b’shaas hadchak (and only if it cannot be readily repaired and re-sewn with gidim). The Dagul Mervava (ad loc. ), Rabbi Akiva Eiger (ibid. ), Chasam Sofer (ibid. ), and Pischei Teshuva (ad loc. 3), question this need, as since the requirement for Atzei Chaim is not actually me’akev, it would seem preferential simply not to affix them at all. Indeed, the Ikrei HaDa”t (Ikrei Dinim, Orach Chaim 7: 11) maintains that if the Atzei Chaim are not properly attachedto a Sefer Torah, that Sefer Torah should not be leined from; and it is only due to the Ashkenazic psak of the Dagul Mervava that would allow this Torah’s use b’dieved. Hence, as the same rules should apply to a Megillah, it would seem that there would be no halachic gain for a Sefardi to wrap the Megillah around a makeshift Amud in order to lein. As pointed out by Rav Shammai Kehas Gross (Shu”t Shevet Hakehas i vol. 5: 119, 2), the leniency of permitting the reading a Megillah with an Amud that was not attached kedas u’k’din is only relevant according to the shittah of the Rema, as he intrinsically held it was never mandated in the first place. In fact, and aside for a glaring lacuna of any mention of this story in his sefarim, Rav Ovadiah Yosef himself (Chazon Ovadiah on Purim, pg. 243 s.v. v’hinei) rules that b’dieved one may lein from a Megillah whose Amud is attached with thread (as opposed to kosher gidim), as it is no worse than, and akin to, leining from a Megillah with no Amud at all, which is muttar b’dieved (l’shittaso) for Sefardim; as both hetteirim are based on the Rema’s shittah and not the Shulchan Aruch’s. Accordingly, it would seem odd for Rav Ovadiah to have wrapped a Megillah around a broomstick to create an Amud, as by his own admission, this would be no more preferential than leining without an Amud. Biur HaGr”a (ad loc. 18, s.v. u’tzricha and 20, s.v. gam). Others who ask similar questions on this shittah include the Chavos Yair (Mekor Chaim ad loc. ; who raises the issue that if this is deemed accurate, why would we say ‘shev v’al taaseh adif’ exclusively pertaining to the necessity of an Amud and not regarding any other issue or Megillah-related debate) and Pri Megadim (ad loc. Mishbetzos Zahav 2; who also notes that whether according to Rashi’s or Tosafos’ understandings of Amud placement, the opposite end of the scroll needs to contain an extra column of blank parchment; ergo, if we are not affixing an Amud at all, why would we not also need to have this extra column on both sides). However, see Levushei Srad (ad loc.) for a potential solution to the Pri Megadim’s difficulty. Tosefes Maaseh Rav (68). And although the Gr”a is quoted as maintaining “Amudin” (plural; implying needing two Atzei Chaim, akin to a Sefer Torah) for a Megillah, nonetheless, Rav Naftali Hertz Halevi (Biurim on Maaseh Rav 136; also cited in the Miluim ad loc. ), explains that this was simply his logic, that indeed m’safeik we should place Atzei Chaim on both ends of the Megillah. However, practically, since the din mandating an Amud was truly referring to other Sifrei Kodesh, and the Megillah is also conversely referred to as an ‘Igeres’, the Gr”a held that one pole is indeed sufficient, and should be affixed to the end of the scroll, following the majority shittah. Yosef Ometz (1091; who maintains that a bracha should not be made on a Megillah that is missing both, an Amud in the end and a blank column in the beginning, as this is ‘negged kol haposkim’ and ‘safek brachos lehakel’), and Damesek Eliezer (Orach Chaim 691, on the Biur HaGr”a 20; cited in the Miluim of the Weinreb edition of Maaseh Rav, pg. 389 - 390). The Mishnah Berurah (ad loc. 17) quite interestingly, remarks rather briefly on the Rema’s shittah of Amud abstinence: “v’haGr”a b’viuro mifakfek al zeh me’od”; strongly implying his preference for the Gr”a’s shittah. Sefer Minhagei Baal HaChasam Sofer (Ch. 9: 6). Orchos Rabbeinu (new edition; vol. 3, pg. 173: 11), Rav Chaim Kanievsky’s notes printed at the beginning of Rav Tzvi Cohen’s Sefer Purim V’Chodesh Adar, and Halichos Even Yisrael (Moadim vol. 2, Ch. 55: 5). Halichos Shlomo (Moadim vol. 1, Ch. 19, Orchos Halacha 5). Rav Elyashiv’s opinion is cited in Inside STa”M (Question 130, pg. 283, footnote 577). See for example, Orchos Chaim (Spinka; Orach Chaim 691: 6) citing the Nezirus Shimshon, and Mishmeres Shalom (Koidinov; 50), and more contemporarily, Mishnas Hasofer (on the Kesses Hasofer, Ch. 28: 13), and Gan Na’eh al Hilchos STa”M (Bikkurei HaGan 32: 8). See also sefer Minhag Yisrael Torah (vol. 3, pg. 395 - 396: 1). Kol Yaakov (ibid. 20), citing Rav Chaim Vital’s Pri Eitz Chaim (Shaar Rosh Chodesh, Chanukah, v’Purim, Ch. 6).